In recent years, Honolulu Councilwoman and congressional candidate Tulsi Gabbard has undergone what she describes as a "gradual metamorphosis" on social issues. Civil Beat. An Oahu counselor will take on a former governor and a perennial GOP candidate for the Republican Party's U.S. Senate nomination. West Hawaii Today. Lawmakers will head back to the state capitol for the 2012 session on January 18. KHON2. "It's the economy, stupid" — the mantra Bill Clinton used in his 1992 election to the presidency — is the theme most heard around the halls of the state Capitol this month. Civil Beat. Members of Maui County's state House delegation want to put more wind in the sails of the state's economic recovery. Maui News. An obscure 1909 law intended to ease suffering of Hansen's disease patients does not make physician-assisted suicide legal in Hawaii, according to an opinion by the state attorney general's office. Star-Advertiser. Lawmakers are working on crafting a bill that'll give movie and TV productions larger tax credits. KHON2. Hawaiian Electric Co. could be in the political crosshairs this legislative session when it comes to energy policy. Civil Beat. Last year, the big education issues at the Hawaii Legislature were instructional time, school bullying and the appointed Board of Education. Civil Beat. State Department of Education officials traveled to D.C. to discuss what needs to be done to keep 75 million dollars in Hawai`i’s public schools. HPR spoke with one member of the team who traveled to D.C. Hawaii Public Radio. The Hawaii State Teachers Association has listed the polling places for members to vote to ratify a new six-year contract that includes a back-loaded pay raise and 50% contribution to medical insurance coverage seen in other state contracts. KITV4. Military contractors and top commanders may have even more reason to be excited about all the talk of increasing the focus of U.S. military might the Pacific — it could translate to new construction work and additional troops in Hawaii. Pacific Business News. State Roundup for Jan. 17. Associated Press. Former Mayor Ben Cayetano will officially announce his candidacy for Honolulu mayor by the end of the week. Hawaii News Now. Members of the Occupy Wall Street movement plan to gather Friday at the Prince Kuhio Federal Building in Honolulu and 79 other court houses across the country to rally against the Citizens United v. Federal Election Commission decision by the U.S. Supreme Court issued two years ago. Hawaii Reporter. For several Hawaii teachers and their families, the birthday of Martin Luther King Jr. was more than a day off work and a chance to sleep in -- Monday was a chance to celebrate the life and legacy of the nation's most lauded leader of the civil rights movement. Star-Advertiser. 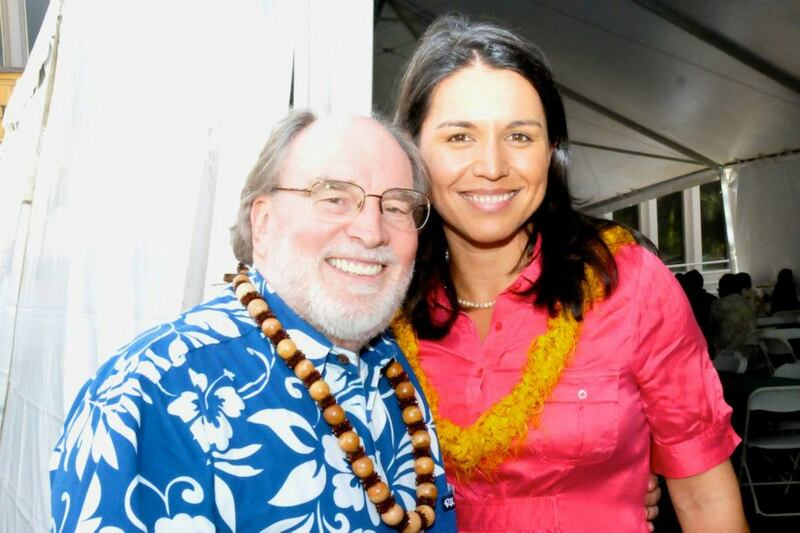 Neil Abercrombie was against the controversial Hoopili development before he was for it, according to environmentalists who said they met with him before the 2010 election. Civil Beat. A bill banning plastic bags at the retail checkout stand will become law today if Mayor Billy Kenoi doesn't execute a last-minute veto. West Hawaii Today. Median home prices fell across the island in 2011 to their lowest level in years. Tribune-Herald. Noted Hawaiian music performer Carmen "Hulu" Lindsey said Monday that she has been appointed by Gov. Neil Abercrombie to fill the Office of Hawaiian Affairs' vacant Maui seat. Maui News. An advocate for people with disabilities said he's hoping to see Makawao's sidewalks become more wheelchair accessible - four years after he began working to bring about improvements. Maui News. The State Department of Transportation will host a public meeting on Maui to discuss runway rehabilitation options at the Kahului Airport. Maui Now. Moviegoers saw a fair amount of the Garden Isle on the silver screen in 2011, but industry experts said Monday the Golden Globe-winning “The Descendants,” filmed partly on Kaua‘i, will boost tourism on the island. Garden Island. First plantation, last homes. Tenants of a former Kauai sugar camp face eviction for a new development. Star-Advertiser. The effect of genetically engineered foods on health and the environment is the topic of a free dinner and film presentation later this month in Kapa‘a. Garden Island. Hansen's disease survivors and National Park Service workers at the Kalaupapa Settlement say they will be traveling easier now that a new air carrier has started federally subsidized service to their isolated community at lower ticket prices. Star-Advertiser.